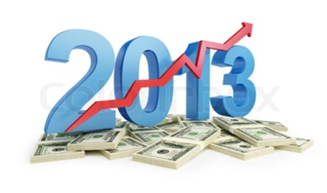 There are many financial issues present in our world in the year 2013. Here are the top five financial issues that need to be addressed this year. Health care is a huge financial concern in 2013 as more and more people who are unemployed, underemployed, or self employed aren’t getting the health care they need, often because they can’t afford to obtain it on their own. Due to the rising cost of health insurance many employers cannot afford to offer it to their employees. Government programs designed to make healthcare more accessible to everyone are facing opposition from certain groups of people within society. Companies that offer credit are coming under fire for offering to people who either can’t afford it or abuse it. There is also an issue with companies not having standards they are forced to adhere to. Credit reporting companies are being criticized for not meeting certain standards anymore. This is causing a lot of tension when it comes to credit companies and people are calling for reform that, so far, is not happening. While unemployment levels are dropping this year, it is only because people are so discouraged and disgusted with the job market that they have simply stopped trying to find a job in the first place. Some people blame politics for the lack of jobs while others say the lack of jobs could be fixed by each community doing what they can to create more jobs. Many people are blaming financial problems on the government because government employees keep getting raises, meaning states have less money for other expenses. Some people blame the general public for voting for government officials that simply don’t care about individual people. It is believed that strong leadership could fix all the current financial problems America is facing. People are very frustrated at the way in which the government has dealt with the country’s financial problems. The housing industry has suffered a lot in recent years and is now recovering, but the recovery process is going very slowly. Many people had to foreclose on their houses this year because of the actions from banks throughout the country. Financial experts are saying that the best way to deal with the housing crisis is for the banks to try to help people who have gone through foreclosure to get their houses back. These five issues are the main issues we are facing as a nation in 2013. Each issue has been tackled separately but it has been a long and hard road to fix these issues. Most Americans are still not satisfied with the financial state of our country and many of them are blaming President Obama for this. Only time will tell how well we manage to clean up all these problems and help people out of their financial troubles. The government will have to play a part in making this happen. Amanda Spencer is the mastermind behind this article. She recommends http://www.cambist.co.za/ for high returns.